Chevy’s “Coupé Utility” storms the show circuit! 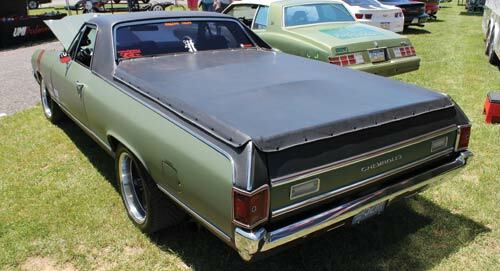 Who says you don’t see many El Caminos at the car shows? We have proof-positive that’s just not so. 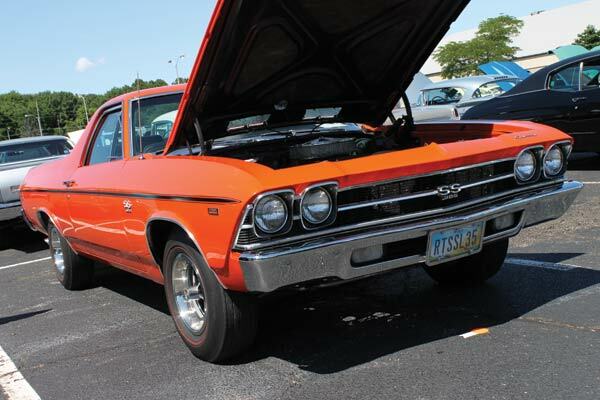 Our favorite truck-car may not get quite the love the Chevelles get, but they’re still a force to be reckoned with when it comes to looking pretty on the show field. And, they go fast. 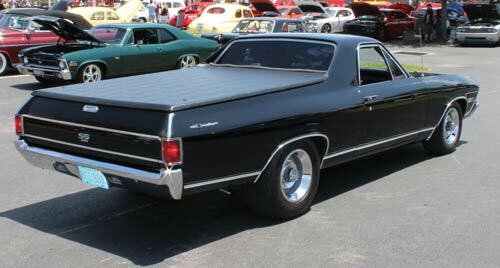 And, when properly equipped, can tow a Chevelle if necessary. So there! 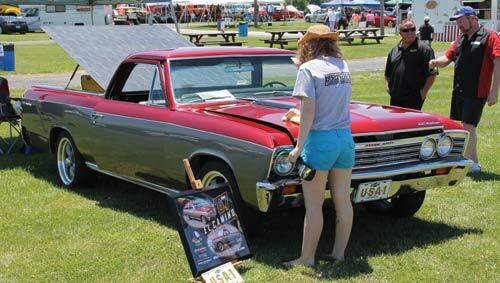 Just to show how cool our El Caminos look parked on a patch of scorching summer asphalt or on a grassy field, we’re proud to present this collection of pictures, all photographed at car shows around the country. We hope you enjoy this presentation! 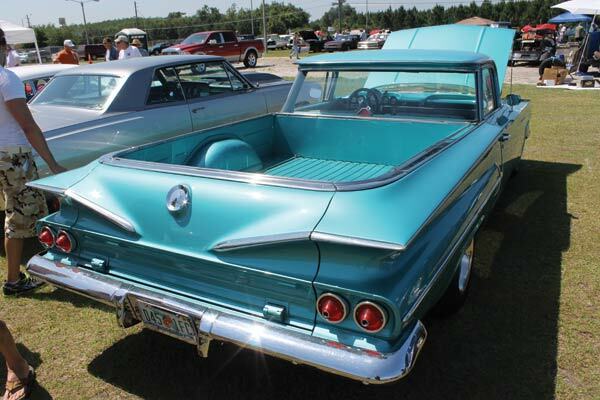 Rare 1960 stands out in the crowd. Late Model Conquista. The owner customized his as the “Mighty Mouse” edition! Clean, black ’68. Gotta be hot in that Florida sun! 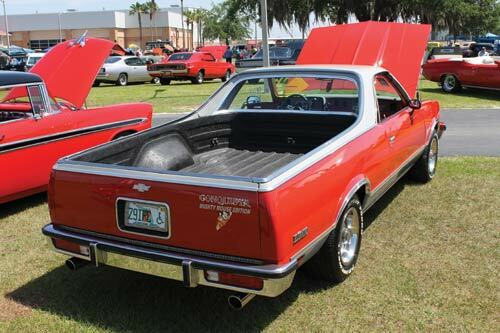 El Caminos, a force to be reckoned with! 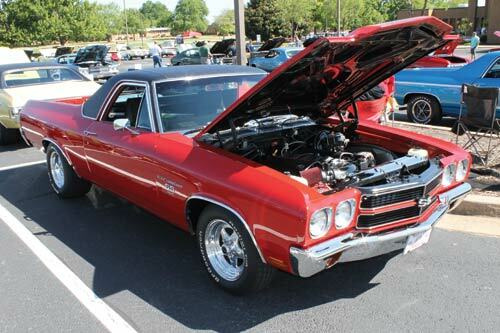 Classic ’70, with modern day LS1 power. 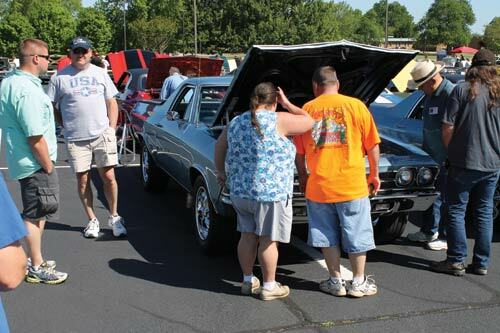 The Elkys drew just as many admirers as the Chevelles did! 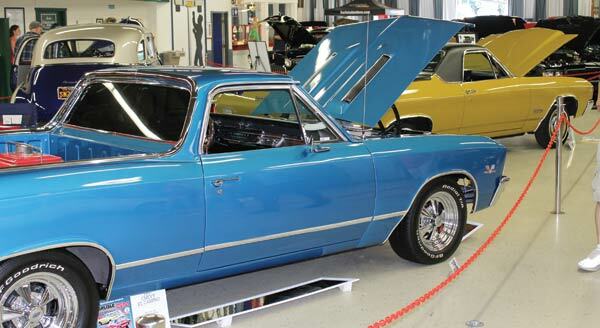 Beautiful ’69 gleaming at the Peach State Chevelle show. 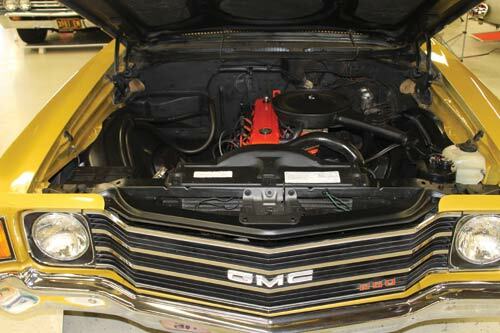 1972 GMC Sprint at the GM Nationals, Carlisle, PA. This car came equipped with the 250 cubic-inch six cylinder engine. 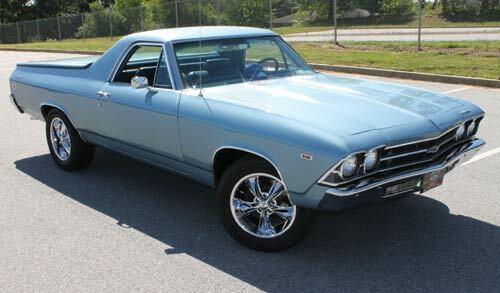 Stunning ’67 El Camino looks great with the vintage Cragars! 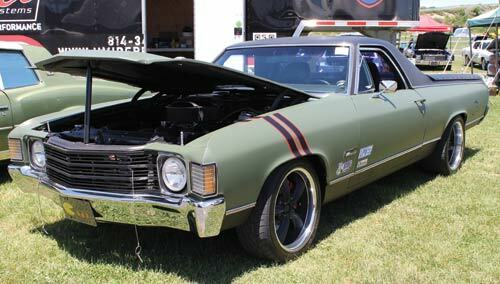 This ’72 is done up in an olive drab theme. Looks military tough! 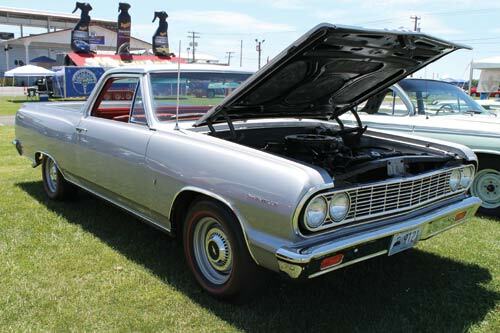 Taking care of the ’67 at the GM Nationals. 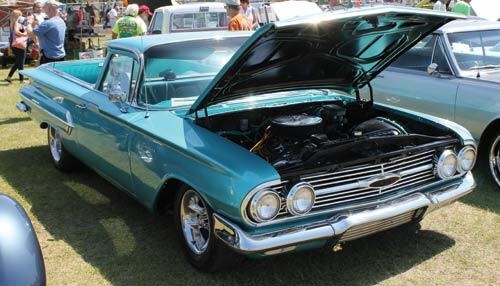 Love the redlines on this nice clean ’64. This ’69 Elky looks stunning in Hugger Orange. Cortez Silver makes this ’69 look really classy. Executive hot rod? 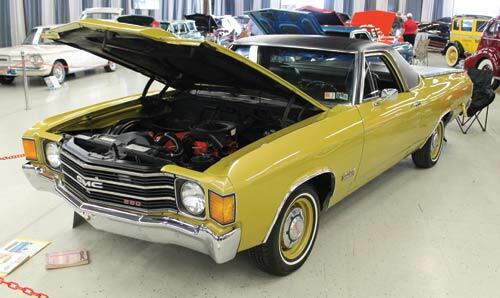 Follow us on our El Camino Facebook page. Click here and Like us! There was held an Auction and there was a 1969 El Camino for a sale, which ultimately was sold at the auction, but I “got my hands on it” before the auction. Quite few shots from it. Also I have a blog about El Camino that I own: 1970elcamino.blogspot.com, where I post everything relate to El Camino, that I want. Great pictures, and congratulations on your new 69!